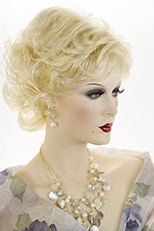 Premium quality mono-filament top and the entire wig is fully hand tied! 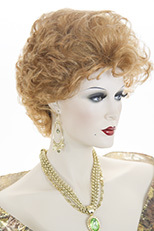 This chic hairstyle is timeless, and so natural looking. 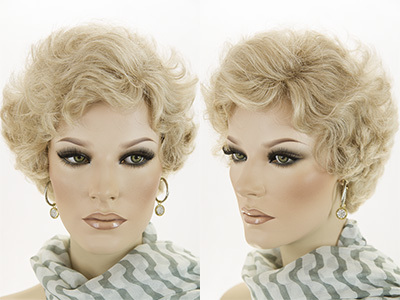 Mono filament top and fully hand tied, this lovely wig gives the illusion of skin where the hair is parted. It is virtually undetectable to both the wearer and others. 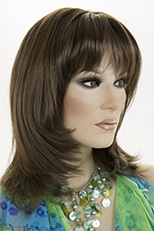 Mono-filament wigs are perfect for those experiencing hair loss due to medical conditions. 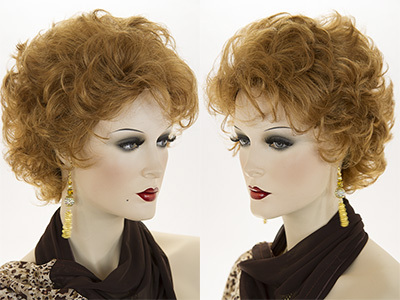 A classic sophisticated hairstyle. 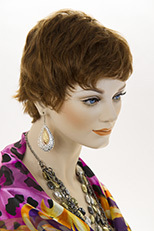 This lovely short wig has layers and soft curls on the front and sides which blend into a wavy back. 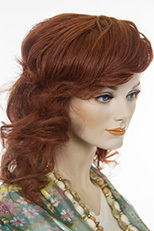 Brush it out, for a full bodied wavy look, or wear it with soft curls.